Dr Quilter is a graduate of Sydney University (BA(Hons) with the University Medal 1993), UNSW (LLB with the University Medal 2000) and Monash University (PhD 2000). During her PhD she studied at the University of California at Berkeley (1994-1995) working with Professors Judith Butler and Avital Ronnell and was then a Visiting Scholar at New York University and Columbia University (1995-1996). After completing her PhD, Dr Quilter spent a decade practising as both a solicitor and as a barrister primarily in public law being admitted as a solicitor of the Supreme Court of NSW in 2000 and as a barrister of the Supreme Court of NSW and High Court of Australia in 2002. After a brief stint in private practice at Malleson Stephen Jaques, Dr Quilter worked at the NSW State Crown Solicitor's Office primarily in the Criminal Law Practice Group specialising in regulatory and coronial law (2001-2002; 2005-2009) and was the Legal Research Officer to the NSW Solicitor General and Crown Advocate (2002-2005) appearing as junior counsel in constitutional and criminal law matters in the High Court, NSW Court of Appeal and NSW Court of Criminal Appeal. Some of Dr Quilter's more significant matters include: being the solicitor assisting the Deputy State Coroner into the death of Brian Peters ("the Balibo Five inquest"); appearing as junior counsel in Markarian v R (2005) 215 ALR 213 and Subramaniam v R (2004) 211 ALR 1 in the High Court; appearing as junior counsel in a range of criminal law matters in the NSWCCA including R v Way (2004) 60 NSWLR 168, R v K (2003) 59 NSWLR 431 and a number of guideline judgment matters such as High Range PCA, Form 1 and Assault Police; and as junior counsel in a number of important evidence law matters such as R v Ellis (2003) 58 NSWLR 700 and R v Folbigg  NSWCCA 17. 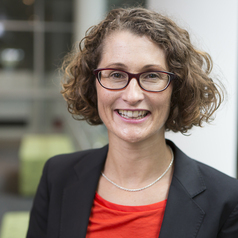 Before joining the UOW Faculty of Law in 2010, Dr Quilter taught sessionally at the UNSW (2002-2009) teaching Public Law in both the undergraduate and MLS program. Since joining the Faculty, Dr Quilter has been teaching criminal law in the LLB program and teaching in the Masters of Criminal Prosecutions. She is a member of the Legal Intersections Research Centre and has recently been appointed Co-Managing Editor of Law Text Culture.